Wonger's Detailing Package UNIVERSAL - Brakeswap.com - Friction for the Win! Grit Guard Must have for car washing to keep the sponge elevated from the dirty, larger particles in the bucket. Griots Garage Leather Care I like this leather treatment because it smells nice and isnt all greasy once applied. Aquartz Iron Cut Iron Cut is a highly effective, acid-free and pH balanced (6~7pH) car paint, wheels & glass cleaner (safe for all wheels including aluminum and alloys). This formulation is also effective and safe for use on all car surfaces and will not deteriorate clear coats. 1Z einszett Spray Wax I use this on chrome surfaces like grills, door handles, side steps on tow vehicles and wheels. Menzerna SI 1500 Super Intensive Polish PO83 More powerful for deeper scratches than the PO106FA. Orange or Green foam pad. Menzerna Super Intensive Polish is designed for the removal of scratches, swirls, and oxidation on the scratch-resistant clear coats used by Mercedes Benz. Concentrated, specially milled abrasives remove 2000 grit sanding scratches to leave a brilliant shine with little or no hazing. Adam's Car Wash 1 gallon This car wash foams up REAL well and smells super good. 1Z einszett Glanz Wax This stuff lasts a long time and is easy to apply/remove. Also priced very well. Uber Blue Clay Bar One of my favorites since it doesnt fall apart or leave residue. Removes abrasive, bumpy sediment, fallout, rail dust, over spray and other contaminations from your paint, glass, clear coat, gel coat, or other rough surfaces. Menzerna SF 4000 aka Super Finish PO106FA For light swirls or scratches. Recommend orange foam pad 1 Pint MenzernaPO106FA brings about a new era in polish perfection. Adam's Detail Spray I use this with clay bar. Doesnt disintegrate the bar and doesnt leave residue. Griots Garage Microfiber Wash Pad Large microfiber wash pad. Holds water better and keeps fine particles from scratching car. Gilmour Foamaster II Quart I fill this container up w/ Adams Car Wash and it foams up all over! Saves loads of time. Adam's Super VRT I use this on all trim, rubber and "black" plastic. Lasts a long time and doesnt feel greasy. It also doesnt sling up all over the side of your car when you apply it to tires. Not brake products, but I have used and tested numerous products relating to keeping a vehicle clean. Here is my current list of items to keep your car super detailed. 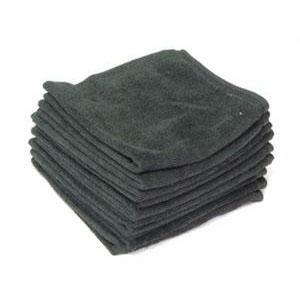 Surprisingly, the bulk microfiber towels from Costco are quite good and I use those for wax/polish removal. I use a bucket with a grit guard and a fluffy microfiber “sponge” to wash the car. Coupled with a Gilmour foamer, the Adams Car Wash foams up nicely and covers the entire car. I then use the Griots (or similar) microfiber wash pad and rinse in the previously mentioned bucket. For times inbetween claybar treatment, I use the Iron Cut to remove contaminants. If needed, I use varying levels of polish to remove imperfections or scratches followed with Glanz wax. Finally, Adams VRT is used on the rubber and trim, Spray Wax on the chrome and wheels, then done! Baller looking again!